Increasing the amount of natural light that enters a property can provide a number of benefits – from lowering energy costs to improve the wellbeing of occupants. 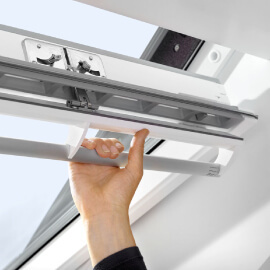 Velux windows are a popular option for pitched roof applications. These windows have the option to pivot from the middle or be top-hung. Sun tunnels are also available, providing a flexible solution that brings more natural light into the space below. Roof windows and sun tunnels are both ideal choices if you want to boost natural light and they can provide other advantages too. For example, roof windows help ventilate a property, keeping the air inside fresh, while also allowing moisture to escape and reducing problems associated with condensation and damp. 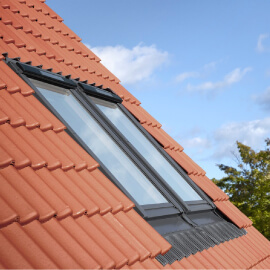 Here at Dunelm Roofing, our team of registered Velux installers can provide a range of services, from replacing failed roof windows to upgrading old Velux windows and installing new roof windows and sun tunnels.